10 Layer Peanut Butter Cake for Peanut Butter and Co.
Let me take a brief break from telling you about my book tour (remaining dates here, btw--I'm in the Chicago area tonight, at the Aspen Drive Library, 701 Aspen Drive, Vernon Hills IL, from 7-8 p.m.) to tell you about this amazing cake I crafted for my friends at Peanut Butter and Company. 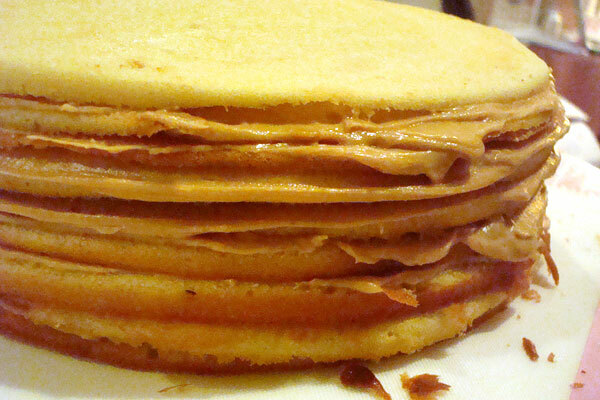 It's a 10 layer cake, inspired by Smith Island Cake (the recipe for that one is in the new book). Want to really show off with your next dessert offering? 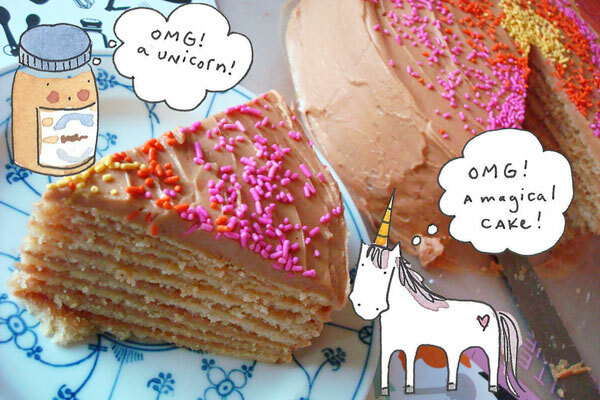 Well then, you’ll definitely want to make this cake. It looks like a pretty normal cake on the serving plate, but once cut into, the amazing interior is exposed. Composed of 10 thin stacked cakes, each sandwiched with a layer of White Chocolate Wonderful peanut butter frosting, this is “frosting with the cake,” a delightful treat that begs for a glass of milk. 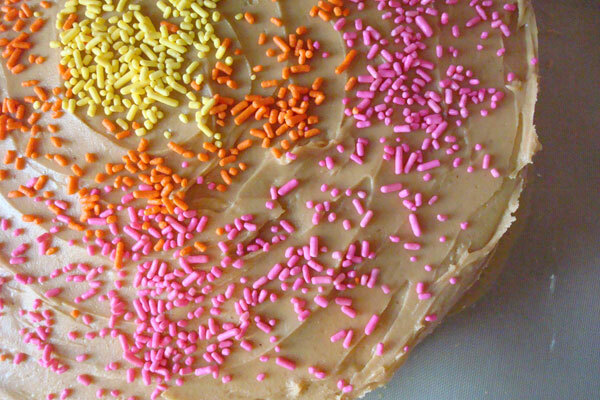 It’s a peanut butter-ized version of a famous cake from Maryland (actually, if you want to get technical, it’s the Official State Dessert!) called Smith Island Cake, which is given out as the prize during community events. But no need to sing and dance when you’ve got this recipe–everyone’s a winner!